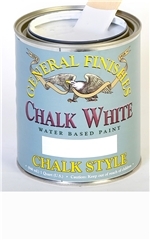 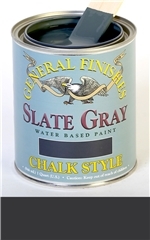 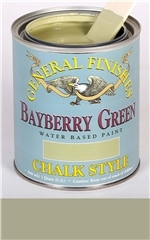 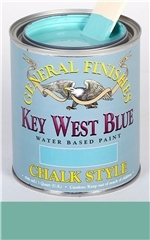 Chalk Style Paint is a casual chalky interior matte paint in 20 contemporary colors. This new palette complements General Finishes' lively Milk Paint line with colors inspired by relaxed Scandinavian hues, British tradition and American favorites. 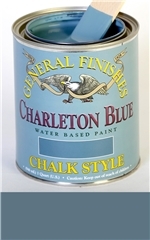 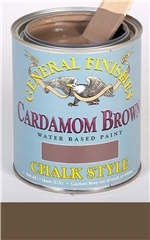 Chalk Style Paint and General Finishes Milk Paints can be layered with each other for special effects. 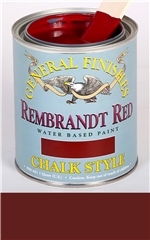 They can also be mixed together for custom colors (use inter-mixed product immediately). 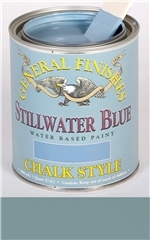 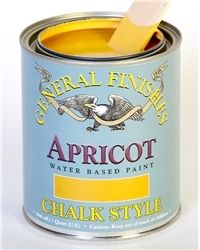 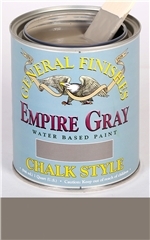 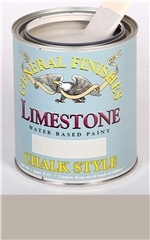 Frequently used in re-purposing furniture or as one of the elements in developing distressed finishes. 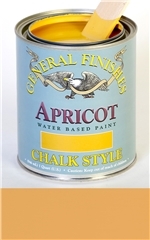 It can be layered with different colors or combined with General Finishes Glazes for stunning special effects. 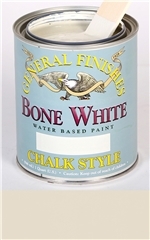 Further protection can be added by applying General Finishes High Performance or Clear Polyurethane over top. 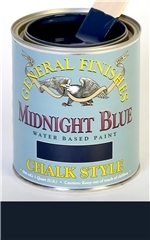 Choose from 20 Pre-Mixed ready to use colors. 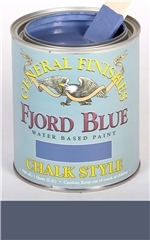 Coverage: 100 ft2/quart or 9.8 m2/liter. 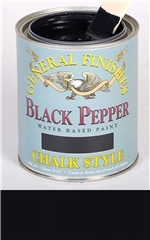 Wet distressible for 12 hours. 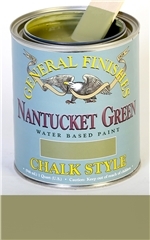 Enhance protection with General Finishes clear topcoats like High Performance or Flat-Out-Flat. 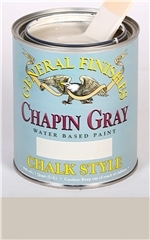 Colors may not be exact on all monitors. 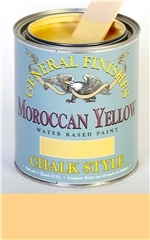 Test colors on scrap prior to application to projects.